I don’t often post other people’s stuff here – not because I think anyone else’s opinions or thoughts are inherently inferior to mine, although there could be an element of that – (just kidding folks!) – it’s that there are plenty of opportunities to read other people’s stuff elsewhere. 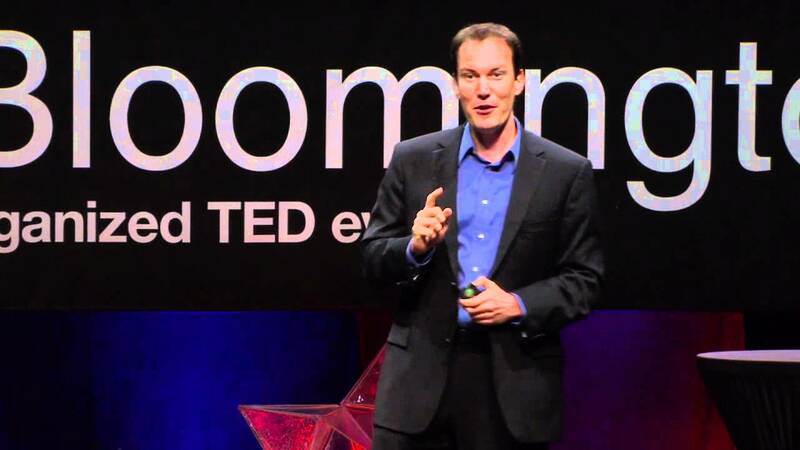 However I came across this TED Talk on happiness, by Shawn Achor, a Harvard trained scientist and author of The Happiness Advantage and thought it was worth sharing.This particular TED Talk has been viewed nearly 20 million times, and I can see why – his views on working hard, achieving success and being happy are quite unconventional. When I was seven years old and my sister was just five years old, we were playing on top of a bunk bed. I was two years older than my sister at the time — I mean, I’m two years older than her now — but at the time it meant she had to do everything that I wanted to do, and I wanted to play war. So we were up on top of our bunk beds. And on one side of the bunk bed, I had put out all of my G.I. Joe soldiers and weaponry. And on the other side were all my sister’s My Little Ponies ready for a cavalry charge. There are differing accounts of what actually happened that afternoon, but since my sister is not here with us today, let me tell you the true story — which is my sister’s a little on the clumsy side. Somehow, without any help or push from her older brother at all, Amy disappeared off of the top of the bunk bed and landed with this crash on the floor. I nervously peered over the side of the bed to see what had befallen my fallen sister and saw that she had landed painfully on her hands and knees on all fours on the ground. I was nervous because my parents had charged me with making sure that my sister and I played as safely and as quietly as possible. And seeing as how I had accidentally broken Amy’s arm just one week before — heroically pushing her out of the way of an oncoming imaginary sniper bullet, for which I have yet to be thanked, I was trying as hard as I could — she didn’t even see it coming — I was trying hard to be on my best behavior. Now, that was cheating, because there was nothing she would want more than not to be Amy the hurt five year-old little sister, but Amy the special unicorn. Of course, this option was open to her brain at no point in the past. And you could see how my poor, manipulated sister faced conflict, as her little brain attempted to devote resources to feeling the pain and suffering and the surprise she just experienced at contemplating her new-found identity as a unicorn. And the latter won. What we stumbled across at this tender age of just five and seven — we had no idea at the time — was going be at the vanguard of a scientific revolution occurring two decades later in the way that we look at the human brain. We had stumbled across something called positive psychology, which is the reason I’m here today and the reason that I wake up every morning. The key to understanding the science of happiness is understanding the way your brain processes the world. What I’ve found is that only 25% of job successes are predicted by IQ, 75 percent of job successes are predicted by your optimism levels, your social support and your ability to see stress as a challenge instead of as a threat. For instance, the absence of disease is not health. Here’s how we get to health: We need to reverse the formula for happiness and success. Most companies and schools follow a formula for success, which is this: If I work harder, I’ll be more successful. And if I’m more successful, then I’ll be happier. That undergirds most of our parenting and managing styles, the way that we motivate our behavior. The problem is that it’s scientifically broken and backwards for two reasons. Every time your brain has a success, you just changed the goalpost of what success looked like. You got good grades, now you have to get better grades, you got into a good school and after you get into a better one, you got a good job, now you have to get a better job, you hit your sales target, we’re going to change it. And if happiness is on the opposite side of success, your brain never gets there. We’ve pushed happiness over the cognitive horizon, as a society. And that’s because we think we have to be successful, then we’ll be happier. But our brains work in the opposite order. If you can raise somebody’s level of positivity in the present, then their brain experiences what we now call a happiness advantage, which is your brain at positive performs significantly better than at negative, neutral or stressed. Your intelligence rises, your creativity rises, your energy levels rise. In fact, we’ve found that every single business outcome improves. Your brain at positive is 31% more productive than your brain at negative, neutral or stressed. You’re 37% better at sales. Doctors are 19 percent faster, more accurate at coming up with the correct diagnosis when positive instead of negative, neutral or stressed. Which means we can reverse the formula. If we can find a way of becoming positive in the present, then our brains work even more successfully as we’re able to work harder, faster and more intelligently. We need to be able to reverse this formula so we can start to see what our brains are actually capable of. Because dopamine, which floods into your system when you’re positive, has two functions. Not only does it make you happier, it turns on all of the learning centers in your brain allowing you to adapt to the world in a different way. We’ve found there are ways that you can train your brain to be able to become more positive. In just a two-minute span of time done for 21 days in a row, we can actually rewire your brain, allowing your brain to actually work more optimistically and more successfully. We’ve done these things in research now in every company that I’ve worked with, getting them to write down three new things that they’re grateful for for 21 days in a row, three new things each day. And at the end of that, their brain starts to retain a pattern of scanning the world not for the negative, but for the positive first. Journaling about one positive experience you’ve had over the past 24 hours allows your brain to relive it. Exercise teaches your brain that your behavior matters. We find that meditation allows your brain to get over the cultural ADHD that we’ve been creating by trying to do multiple tasks at once and allows our brains to focus on the task at hand. And finally, random acts of kindness are conscious acts of kindness. We get people, when they open up their inbox, to write one positive email praising or thanking somebody in their support network.